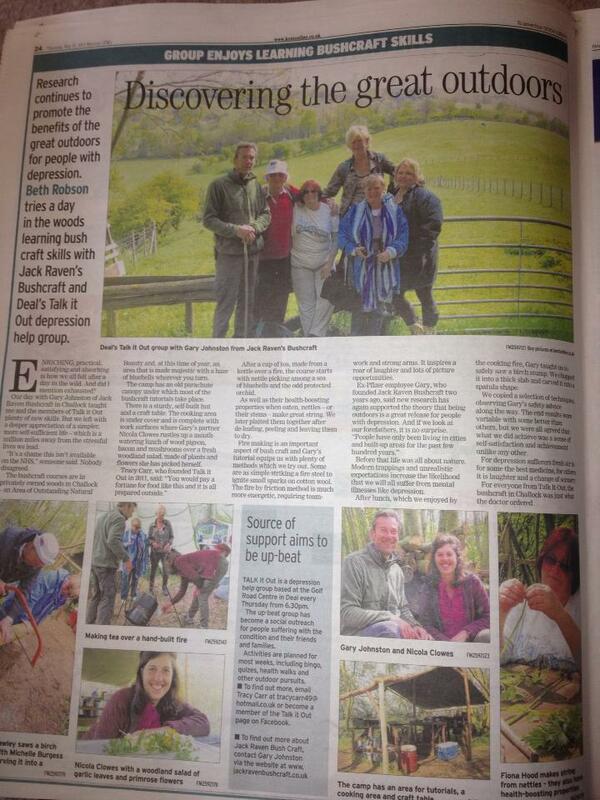 A great newspaper article about a day Talk it Out, a self help group for people with experience of depression and based in Deal, spent with us recently; it was published in the East Kent Mercury. There is an ever growing body of evidence to support the idea that exposure to the natural world is good for wellbeing, so it’s great to get this kind of publicity. It was a fantastic day and we met some lovely people. We did some fire lighting and carving, made nettle cordage and went on a woodland walk to identify some trees and plants and their uses. Lunch was pan fried pigeon breast with smoked streaky bacon served with a balsamic and red wine vinegar dressing on a green leaf salad. You can look at photos from the day on our Facebook page. 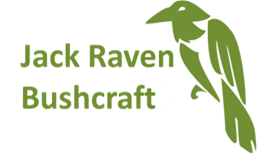 If you are part of a group that would like to take part in a similar day, get in touch with us at info@jackravenbushcraft.co.uk or phone on 07553 763397.